Graig Robertson is a Vancouver based composer, musician and sound designer. His work can be heard in a variety of acoustic and electronic styles for concert, radio, film and multi-million selling video games. 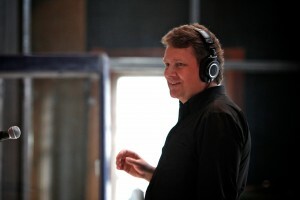 His extensive list of credits include: composer, audio director, producer, sound designer, music editor, sound editor, voice director, voice actor, script writer and session musician (guitar/saxophone). He has also project managed large game audio teams as well as 2+ years applying these skills in working as a producer / project manager for a multi-disciplined IOS development team. Graig is the owner of Big Show Audio Media Ltd. Est. 2007. -Associate Certificate in Applied Software Development, B.C.I.T.